The Financial Conduct Authority (FCA) has today set out the issues it will focus on as part of a market study into how general insurance (GI) firms charge their customers for home and motor insurance. GI plays a key part in the UK economy, generating over £78 billion in premiums for UK insurers. The FCA’s Financial Lives Survey shows that most UK adults (82 per cent) have one or more GI products, with home and motor insurance being the most commonly held GI products in the UK. The FCA has been concerned that general insurance pricing practices have the potential to cause harm to consumers, particularly those who are vulnerable. The FCA’s goal is to ensure that retail general insurance markets deliver competitive and fair prices for consumers. The market study will give the FCA a deeper understanding of the scale of any harm to consumers from general insurance pricing practices, who it affects and, if required, what actions are required to improve the market. “Our initial work has identified a number of areas of potential consumer harm. We want to make sure that general insurance markets deliver competitive and fair prices for all consumers. This market study will help us examine the outcomes from general insurance pricing practices and inform how, if necessary, we should intervene to improve the market. The FCA’s supervisory work on home insurance found other issues which could cause harm to customers, including firms failing to have appropriate or clear pricing strategies, governance and controls. The FCA expects firms to look after the interests of all customers and treat them fairly, whether they are new or long-standing and has written to CEOs of firms about its expectations. The FCA has also identified potential non-compliance by some firms with our rules on transparency at renewal. Where the FCA has concerns about conduct by firms, it will explore all options to address this using the full range of its powers. Alongside launching the market study, the FCA has published a discussion paper on fair pricing in financial services markets. The discussion paper sets out the FCA’s approach to considering fairness of pricing in general. The FCA wants to hear views from stakeholders to inform the judgment of when pricing is unfair in financial services markets. These views will also inform the market study. The FCA is seeking input on the issues discussed in the market study terms of reference and accompanying evidence by 3 December 2018. 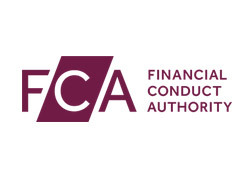 The FCA aims to publish an interim market study report in summer 2019 setting out preliminary conclusions including, where practicable and appropriate, a discussion of potential remedies. It aims to publish its final report and, where required, consultation on proposed remedies by the end of 2019. The FCA is seeking input to the discussion paper on fair pricing and accompanying evidence by 31 January 2019. Alongside the FCA’s programme of work on general insurance pricing, it is working closely with the Competition and Markets Authority as it investigates the Citizens Advice super-complaint on excessive prices for disengaged customers.